If you belong to a group of users that haven’t been offered the update, you still have the opportunity to give a try to its novelty features and options by downloading the package manually. The upgrading is not available to you unless what your machine runs on is the Fall Creators Update or the Windows 10 version. If you force-upgrade your computer, it will likely entail some risks due to the fact Microsoft might not have performed beta-testing of the update on machines similar to yours. Another risk you will run into is the high likelihood of common bugs, as Microsoft has probably not finished fixing them. 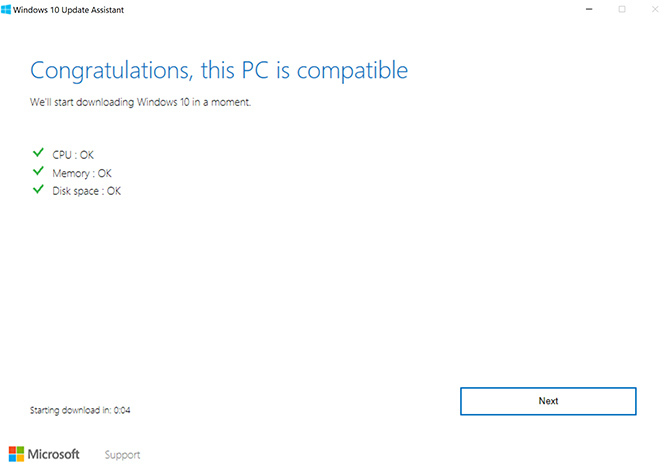 For 10 days, you’ll be able to restore the previous version of Windows, but it’d probably be not worth the candle. Backing up all important files is a must before performing any updates of your system. 1. Visit Microsoft’s website and go to the page Download Windows 10. 2. Click on the button Update Now. This will download Update Assistant for Windows 10 on your computer. 3. 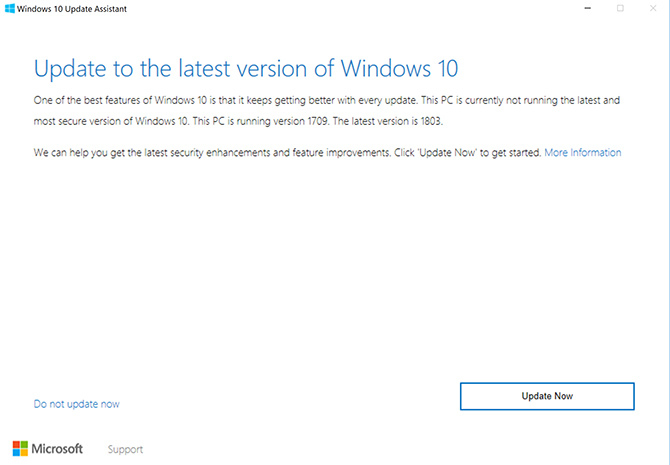 Once the download of Update Assistant is finished, open it and hit the button Update Now. 4. The program will perform a check of your machine’s hardware to determine whether there are any incompatibilities that might prevent the update from functioning properly. In particular, Disk Space, Memory, and CPU will be checked. 5. If the check is complete and no issues have been discovered, click the button Next. 6. The assistant will initiate downloading of the update package and its subsequent installation. This may take a while, but nothing prevents you from using the computer during this time. 7. Once the previous step is done with, a restart of the computer will be required. You have two options: Restart, which immediately proceeds to finish the update process, and Restart Later, which postpones the reboot till a later time when the computer isn’t in use. 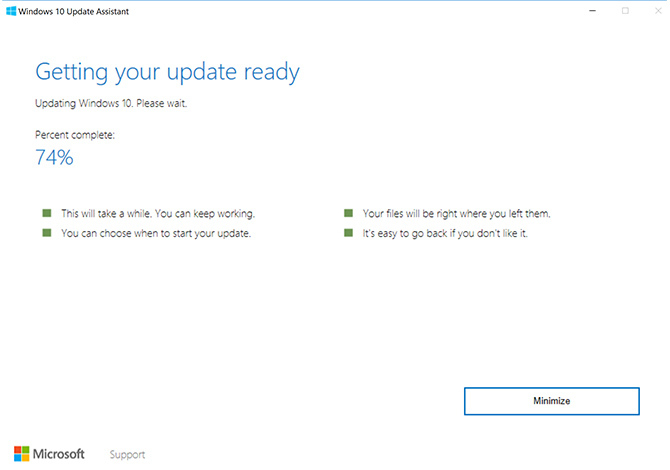 According to the estimates provided by Microsoft, after you press the button Restart, your computer will be unavailable for use for approximately 90 minutes, until the update is finished. Update Assistant for Windows is a useful tool Microsoft has provided to further simplify the OS update management for their clients. Nonetheless, it’s advisable to start an early update, so that you know for sure what it entails.